By Helen Wang, published February 20, 2017, 12:10a.m. Bounded by the Qin mountains to the south, and the Ordos desert to the north, this arid province formed the heartland of Chinese civilization from the Warring States (500-221 BC) to the Tang (618-907 AD)—a span of almost 1500 years. While the terracotta warriors of Qin Shihuang, the first emperor to unify the various kingdoms of premodern China, are its most famous relics, so much of Shaanxi’s natural resources have been lost. Once thickly forested, the landscape of present day Shaanxi is largely made up of dusty loess plateaux irrigated by the Wei River, a major tributary of the famed Yellow River. Those ancient forests, once home to elephants and rhinoceroses, provided the timber for the stately palaces and great cities of premodern China—structures which proved irresistible to the torches of the successive waves of invading armies. In other words, the now barren landscape has witnessed more than its fair share of history. Steeped in the history and literature of this unique region, Jia’s work is intensely local, featuring everything from regional food and drink specialties like guokui flatbread and guanguancha tea, to opera performances and funeral songs in Shaanxi dialect. But Jia’s work is also steeped in the rich literary tradition of China, and when we read his stories, we cannot help but feel the depth of history and tradition in his writing. Jia draws inspiration from the vernacular novels of the Ming and Qing dynasties (1368–1911 AD) – a period roughly contemporaneous with the Renaissance and Enlightenment in Europe. And, building on the legacy of the May Fourth movement (1919), he carries the torch of a group of literary firebrands who blamed the humiliations of the Opium Wars and foreign concessions at the hand of the European powers on the cultural and intellectual stagnation of the Chinese elite. For Hu Shi, this meant abandoning the monosyllabic classical language that had developed from the earliest Chinese texts, and employing the vernacular style. There was a precedent – some of the literature of the Tang dynasty had been in a vernacular style, reputedly based on the oral storytelling traditions of tea house performers and street buskers. Of course, the literati would never accept tea-house tales as being equal to “serious” poetry and historical treatises. But, by the Ming dynasty these sometimes bawdy stories had developed into complex social allegories replete with classical allusions, clever puns, and long passages of descriptive poetry and prose. Until recently however, Jia’s acclaim among Chinese readers did not result in a rush of translations. Like so many contemporary Chinese authors, his work was first brought into English by Howard Goldblatt, beginning with Jia’s 1987 novel Turbulence (Louisiana State University Press 1991, sponsored by the Pegasus Prize). Six years later, Geneviève Imbot-Bichet’s 1997 French translation of Ruined City won the prestigious Prix Femina award for best foreign novel. Six years after that, there was a 2003 Grove Press reprint of Turbulence, and then a hiatus of 13 years, until Howard Goldblatt’s English translation of Ruined City was released by Oklahoma University Press in early 2016. Both Turbulence and Ruined City would make excellent additions to any library’s collection of contemporary literature, Chinese or otherwise. Shangzhou (商州, 1986) Shangzhou, currently untranslated. -- Tragicomic sketches of everyday life in the mountains of Shaanxi’s deep south. Fuzao (浮躁, 1987) English translation Turbulence by Howard Goldblatt (Louisiana State University Press, 1991, republished by Grove Press, 2003). Winner of the 1991 Pegasus Prize. -- The rise and fall of Golden Dog, an ambitious young man who returns to his hometown on the Zhou River to run river boats and expose corruption. Renshen (妊娠, 1988) Pregnancy, currently untranslated. -- The philosophy of life via a beautiful dwarf, a tornado, and an old man who sleeps sitting up. Fei Du (废都, 1993) English translation Ruined City by Howard Goldblatt (University of Oklahoma Press, 2016). Also known in English as Defunct Capital and Abandoned Capital. -- Fading literary star Zhuang Zhidie finds love in all in the wrong places, while his friends spin petty schemes and fight lawsuits. Bai Ye (白夜, 1995) White Nights, currently untranslated. -- Migrant worker Mr. Qi suddenly returns home ten years after his untimely death to recover an old copper key, setting off a series of unfortunate events. Tu Men (土门, 1996) Earth Gate, currently untranslated. -- Upstanding cadre Cheng Yi struggles as village gives way to city and his fellow townspeople, once rooted in the soil, lose their way in the pursuit of fame and fortune. Gao Lao Zhuang (高老庄, 1998) Old Gao Village, currently untranslated. -- During the reform and opening period of the early 1980s, university professor Gao Zilu returns home, where he gets caught up in a tangled web of old feuds born of isolation and ignorance. Huainian Lang (怀念狼, 2000) Wolves of Yesterday, currently untranslated. -- When the wolves of the southern mountains disappear, the hunters suddenly find themselves transformed into their own worst enemies, forcing the villagers to reexamine long-held beliefs. Bingxiang Baogao (病相报告, 2002) Plague Report, currently untranslated. -- Shortly after arriving in the communist base camp of Yan’an, propaganda artist Hu Fang falls in love with Jiang Lan, only to be separated by the whims of fate and politics. Qin Qiang (秦腔, 2005) Qin Opera, sample translation Shaanxi Opera by Dylan Levi King on Ugly Stone. Winner of the 2008 Mao Dun Literature Prize. -- Village outcast Yinsheng pines after renowned beauty Bai Xue, while two powerful families, old and new, fight to leave their mark on a rural village with a long tradition of opera performances. Gaoxing (高兴, 2007), English translation Happy Dreams by Nicky Harman (AmazonCrossing, 2017). -- Easy-going farmer Happy Liu becomes a trash collector in the big city after selling a kidney, introducing him to a whole new world of opportunities—and challenges. Gu Lu (古炉, 2011) Old Kiln. 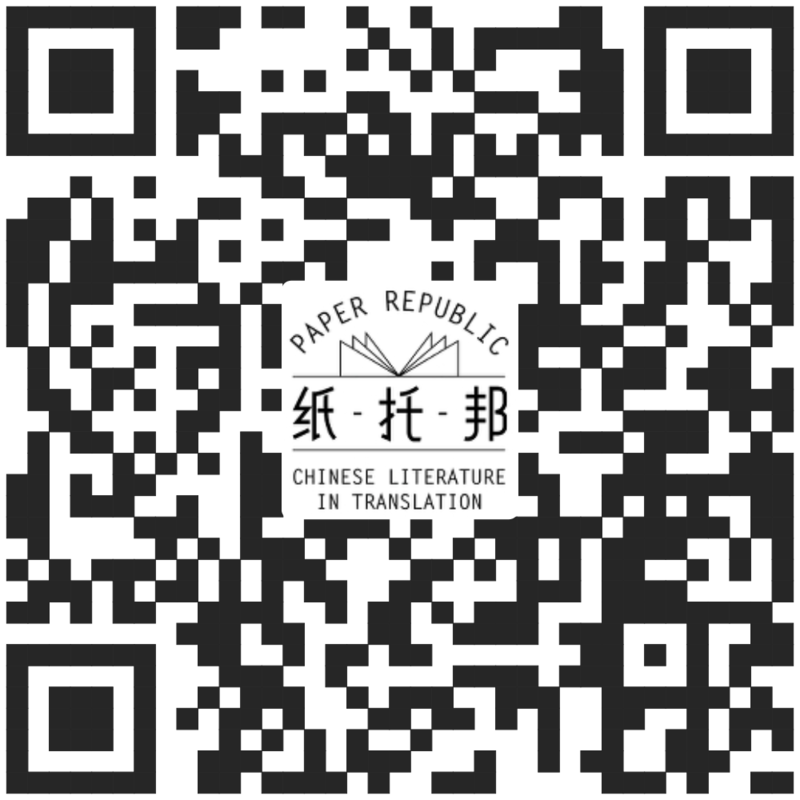 Short sample translation Old Kiln by Canaan Morse on Paper Republic, longer sample translation Old Kiln Village by Nicky Harman on Ugly Stone. -- Bad class background villagers Mottlegill and Grandma Mulberry do their best to make ends meet and stay out of trouble while dueling Red Guard factions, the Sledgehammers and the Red Swords, duke it out for control of a ceramics kiln during the Cultural Revolution. Dai Deng (带灯, 2013) English translation The Lantern Bearer (2016) by Carlos Rojas. -- Honest and hardworking university student Firefly reins in disorder and corruption in a sleepy mountain village, dealing with age-old conflicts along the way. Lao Sheng (老生, 2014), Lao Sheng, sample translation Master of Songs by Nick Stember in progress. -- Funeral singer and local legend the Master of Songs listens to a classic fable of fantastic beasts on his death bed, recalling a lifetime of strife and dramatic change. Jihua (极花, 2016) Jihua, sample translation The Poleflower by Nick Stember on Ugly Stone. -- When would-be city girl Butterfly is kidnapped and sold into sexual slavery in the countryside, her extended captivity forces her to give up any hope of ever reentering society.